11.18.10, Melissa, Apollo Beach, (11.18.10, 5:42am, male, didn't jump, taken away), This morning I was driving across the skyway. There was a silver smaller car. The suicide attempter was a young male with a small silver car. There were several rescue vehicles. The man was leaning on the concrete side wall. He looked as if they had saved him. Thank God! 11.18.10, zolter, At 4:46AM on November 18, 2010, Pinellas County Fire Rescue, FHP and USCG was dispatched to a possible jumper on top of the Skyway. A vehicle and male individual were spotted on top of the bridge (northbound) and a concerned motorist called 911. FHP was first to arrive and began a dialogue with the male. A rescue boat was launched in the event the individual jumped. At 6:00am the individual was taken into custody and transported to St. Anthony's Hospital for evaluation. on November 18, while working the Skyway Suicide Deterrent Detail Trooper Middleton successfully talked a suicidal subject off the Skyway Bridge. Trooper Middleton’s arrived at the bridge and observed a male subject sitting on the concrete barrier. Trooper Middleton approached the subject who revealed he was upset due to the possibility of being deported from the country. As the conversation continued the male subject appeared to become more aggressive with the positioning of his body, stated that he had nothing to live for and placed both legs on the water side of the barrier. After 45 minutes Trooper Middleton was finally able to subdue the subject and he was transported to St. Anthony’s hospital for treatment. Without Trooper Middleton’s quick response and decisive action there could have been grave consequences to this incident. 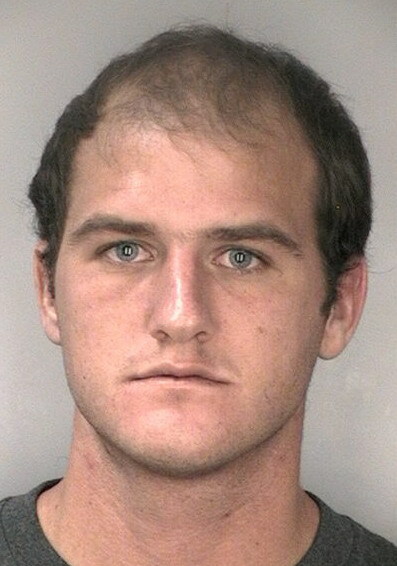 09.14.10, zolter, (09.14.10, male, 6:45pm), Shortly after 6:45 pm several 911 call were made from passing motorists. They called in regards to an African American male in the Northbound lanes at the top of the bridge. He is outside of a dark colored Explorer. Units arrived on the scene and are negotiating with the individual. Marine units are getting in place in the event he jumper. Will update when available. later: All units available. Unknown what happened but nobody jumped. 09.14.10, Anon, Tampa, FL., (09.13.10, 10:45am), Red Ford pickup truck being towed away from lower span of northbound lanes approaching the peak. Anyone have news? 08.25.10, zolter, largo, Male on peak Northbound lane. Sounds like a witnessed jumper. Fire dept on the way along with USCG and ECSR. later: White male with blue shirt. FHP reporting hit the rocks. Fire Dept still responding. later: Patient is stuck in rocks. Due to position and condition of body they are requesting help from USCG dive team or Hills Co Dive team and more equipment for body recovery. later: Being described as an extended operation. Hillsborough County still be taking the lead in the recovery and they are enroute later: Body was recovered about 4:30pm and taken by boat to Marina (O'Neills). 08.25.10, Susan G-H., facebook, There was a jumper today, little after 2:30 pm. 08.25.10, ESP, St Pete, (08.25.10, 3:00pm, hit rocks), Police scanner indicates jumper wedged into rocks at base of bridge. Having difficulty recovering body. 08.25.10, j., st pete beach, fl., (08.25.10, 4pm), Major traffic jam on the bridge heading north toward St Pete.....police boats, sheriffs cars, fire dept, crime scene van & everyone looking over the side....parked gold lexus suv at top. Not sure if anyone jumped? but it sure didn't look good? If the poor soul jumped, I hope they are ok. It bummed me out, any updates would be appreciated. 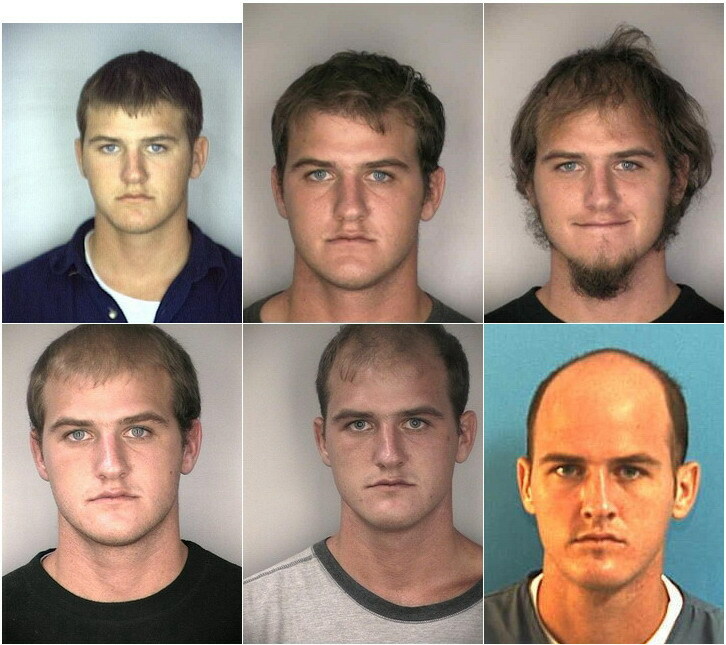 08.25.10, Jeff g., tampa, fl., (08.25.10, 3pm, male, died, body found), Noticed multiple emrgency vehicles from bottom of north lanes, took about 15 min to reach center span. A newer Lexus RX 330, grayish in color, with doors closed was in the emergency lane to the right, about 25 yards south of peak center of bridge. Crime scene vehicles and police cruisers were in north and south bound lanes. I joke with friends about jumping off The Skyway, when things get bad, doesnt seem so funny when it happens when your there., Im sorry for this souls family for thier lose. 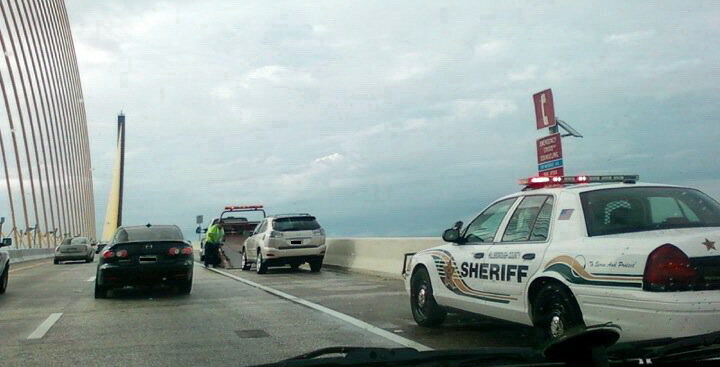 Traffic on the Sunshine Skyway Bridge has slowed as authorities investigate a suicide. Authorities got a call at about 2:26 p.m. Wednesday about a man who had jumped from the bridge. The man had driven north to the top of the bridge and parked his car, officials said. "He looked over the side of the bridge and jumped," said Lt. Joel Granata, spokesman for St. Petersburg Fire and Rescue. The man landed on rocks instead of the water and died, Granata said. St. Petersburg Fire and Rescue's marine and extrication teams are expected to be on the scene for at least two hours. The Florida Highway Patrol is assisting with traffic control. Northbound traffic has been slowed considerably, officials said. tbo.com, Witnesses saw him pull his vehicle over to the right shoulder of the center span and jump over the side. Body was found on rocks. 08.26.10, Mark from Tampa, From the top of the bridge at 5PM yesterday. 08.26.10, anon, sarasota, fl., (08.22.10, 6:45pm, male), Late Sunday evening approaching the top of the bridge traveling southbound, saw a silverish Chevy Avalanche truck parked on the left inside lane with hazards flashing. Looked like an asian middle-aged man dressed in black pants and a black long sleeved shirt sitting on the inside ledge. I hope it was just someone with car problems but it appeared odd to be sitting on the ledge in the rain. 08.18.10, anon, Tampa, FL., (08.18.10, 8:15am, didn't jump, taken away), Heard it on the radio this morning - 98 Rock (97.1) to be exact! 08.12.10, zolter, largo, fl., (08.12.10, 9:40pm, didn't jump, taken away), sports car on top of bridge southbound, FHP secured the individual to prevent the jump. Vehicle turned over to female passenger who is attempting to also prevent the jump. All ended well. 07.15.10, Scott the computer guy, St. Petersburg, FL., (07.15.10, 3:30pm), While driving by there was an empty car on the northbound lane today with about six cops looking in the car and over the ledge. There was an EMS vehicle as well so they may have stopped the jumper but it looked like they may have jumped given the looks over the bridge side. No time for pictures. 07.10.10, Simone, clearwater, florida, (07.10.10, 2:15am, female), My husband called me to let me know he saw someone sitting on the ledge early this morning. He first called 911 to report it. I cannot find any information on the news sites. 911 said they had another call regarding the same female would be jumper. No information on news websites. Whats up? 07.13.10, Tiffani, Bradenton, FL., (07.10.10, 2:15am, female, used phones, didn't jump, taken away), My brother in law works on the Skyway fishing pier. The cops were looking for this lady's boyfriend. He left her at the top of the Skyway when the first police car showed up. They had road blocks up to try and find him. From what the officer told my brother in law, the boyfriend was having a fight with his girlfriend, and was NOT trying to stop her from jumping. Thankfully the officer did show up in time to stop her. Not sure if they found the boyfriend or not. 07.01.10: possible jumper, more likely a possible save. 07.01.10, anon, (07.01.10, 7:30pm), Abandoned vehicle with two LEOs at top of bridge, southbound lane. 07.03.10, Dan A., St.Pete, (07.01.10, 8:00pm), Saw a car being loaded onto a flatbed from the very top of the bridge. State trooper lit up behind it, southbound lane. I was traveling in the north lane after I crossed the hump bridge got behind ambulance with no emergency lights on. It got off at the exit for hospital. Possible jumper inside? 7½ hours? wtf? any more info is welcome. 06.13.10: article and film on this site. tampabay.com, Filmmaker haunted by Skyway bridge suicide hopes documentary will deter others. 06.22.10, David, Bradenton, FL., (06.10.10, 9 or 10am), I saw 5 or 6 police looking over the edge facing away from tampa (southbound) and the police had blocked both lanes from crossing the bridge about 150 ft from the top of the bridge. I can't imagine that they block both lanes and have 4 or 5 police looking over the edge of the bridge unless it was a jumper. another 4 hour 'call for service'. this could be a result of the 05.24.10 jumper's body being discovered. any more info is welcome. 05.24.10, Zolter, Largo, (05.24.10, male, no hotline phones, hit water, body not found yet), North bound lanes. 911 caller reported seeing male jump off the bridge. Small green car parked just south of the hump. 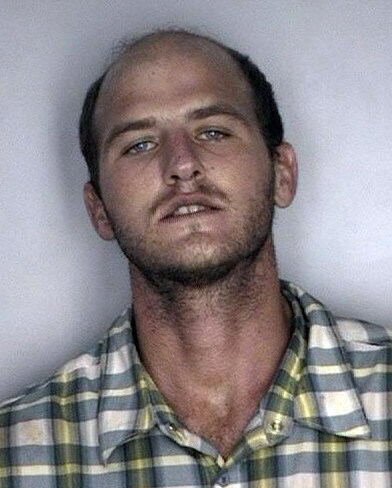 Authorities searching for subject. After 30 minutes nothing located. Search continues. 05.24.10, anon, Palmetto, Fl., (05.24.10, 4:00pm, no hotline phones, hit water, died, body not found yet), Jumper parked his black 2 door sedan at the crest. Apparently witnesses saw him jump. When I arrived, several police and FHP cars were on the North bound crest looking over the edge. On the southbound crest a fire rescue truck and ambulance were both there and they were looking over the edge as well. The Fire Rescue boat was launched as well as the coast guard. Not sure if the body was recovered or not? 05.26.10, zolter, 1:36 pm. Pinellas county fire rescue responding to report of a body floating in the water near the Skyway. Coast Guard and Manatee responding Marine Units as well. Initial reports coming in from Manatee Fire are that they have recoved a body. Jumper from the 24th? TAMPA - The Manatee County Sheriff's Office recovered a body this afternoon in Tampa Bay adjacent to the center span of the Sunshine Skyway Bridge. 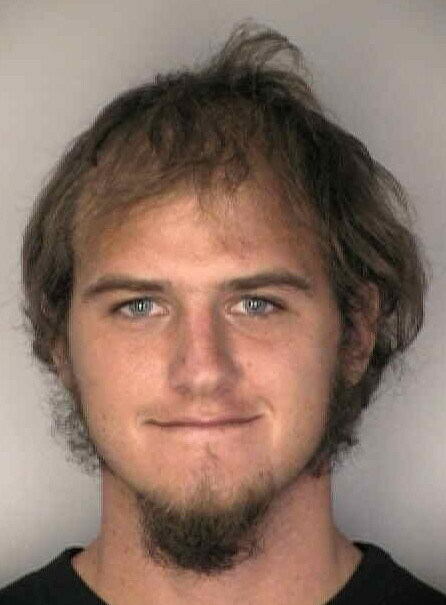 Manatee County sheriff's deputies delivered the body of a man to the Hillsborough County Sheriff's Office, the agency that has jurisdiction where the body was recovered. A fisherman recovered the body of a man near Manatee County on Wednesday afternoon, two days after he apparently jumped to his death from the Sunshine Skyway bridge, authorities said. 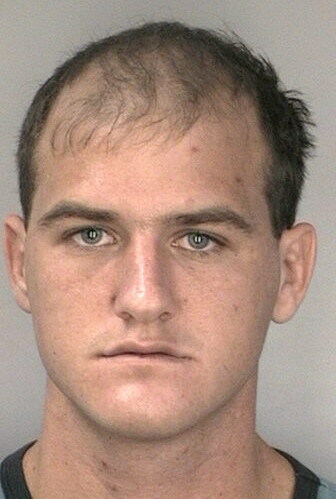 Hillsborough County sheriff's officials identified the man who died as 27-year-old Anthony Walter of Thonotosassa. Authorities found a 1995 Acura abandoned on the bridge Monday, said sheriff's spokeswoman Debbie Carter, leading officials to assume someone had jumped. Walter is listed as the owner of the Acura, Carter said. in the DC Number field, click Submit Request up to the right, and WALTER, ANTHONY D on the resulting page. ST. PETERSBURG — A sergeant with the Florida Highway Patrol stopped a 48-year-old Bradenton man from jumping off the Sunshine Skyway bridge on Friday night, authorities said. Sgt. Raymond Ada was dispatched to the bridge at about 8:15 p.m. Friday to investigate a possible suicide attempt, an FHP spokesman said. Ada found the man standing on top of the bridge's barrier wall. 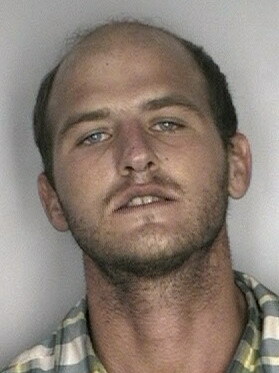 When the man spotted Ada, he jumped down and got into a Nissan pickup. Ada ran up to the vehicle as the man started the truck's engine, then jumped into the bed of the pickup when the man began to drive away. The man stopped abruptly and tried to dive out of the passenger door and make another run at the bridge. Ada was able to restrain the man and take his keys. 05.22.10, Sandee M., facebook, Talk about going above and beyond the call of duty...glad this one turned out the way it did but, yeah, definitely very risky. 05.16.10, Cathy A., St. Petersburg, (05.16.10, 8:15am), My husband was driving to work this morning following FHP and the Fire Department South Bound to the top of the bridge. When he arrived at the top he observed a Black full-sized Ford possibly an F-150. Behind that was a BMW convertible with the top down and a White Mercury parked behind that. There was a White Male and a Black Male talking with FHP. 05.16.10, zolter, largo, fl., 05.16.10, 8:10am, male, used phones: no, hit water, died, body found same day), Male jumped from southbound lanes of Skyway. Vehicle left on bridge. Initial call reported patient floating face down in the water. 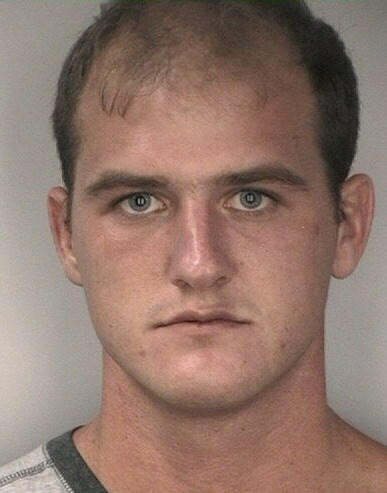 Subject was taken aboard a recreational vehicle. Pinellas county Marine unit transferred to their vessel and reported "obvious" death. Enroute to shore. ST. PETERSBURG — An elderly man who authorities say had been despondent since the death of his wife about a year ago jumped to his death from the Sunshine Skyway bridge Sunday morning. Robert Amos Guest, 80, of [address withheld], St. Petersburg, was seen by a witness pulling over in his car at the center span of the bridge shortly after 8 a.m., getting out then jumping over the railing, according to the Hillsborough County Sheriff's Office. His body was recovered by a boater in the area. 04.14.10, anon, (04.13.10, 2:30pm, male), Possible jumper, male in 40's erly 50s, baseball hat, car stopped southbound lane at the top, got out of the car and walked to the edge and looked down, not sure if he jumped. 04.12.10, anon, (04.10.10, 3-4pm, male), Driving Southbound could see on northbound lane there was a black male, wearing a collared shirt had one leg over the cement wall about to jump and police man was approaching him. 04.08.10, Sean, Palmetto, Noticed a silver 4 door sedan at the crest. Officials say it has been there since early this morning. Car was un-occupied. Not sure if it was a jumper or not but assuming it must have been? Anyone know anything? 03.14.10, anon, (03.13.10, 11:00), empty car parked on northbound bridge, police vehicle behind, coast guard heli, not heard anything on news. Jump? 03.14.10, Cj, Parkland, FL., (03.13.10, 11:30am), Driving to Clearwater from south Florida, abandoned black 4 door compact car by crisis phone. Didn't see any emergency personal. 03.15.10, a, FL., (03.13.10, 9:30am), Driving SB, Car at apex of bridge on NB side off to the side of road, noone inside that was visible. 03.17.10, Boom, Gainesville, FL., (03.13.10, 1:00pm, male, hit water, died, bodyfound), A group of friends and I were boating near the bridge around 1pm on Saturday, 3/13/10 and found the body of a male floating (and dead) about a quarter mile west of the center span. Victim was wearing brown work boots, blue jeans, and a white tshirt. We called the Coast Guard, they showed up and we took off. Bradenton, Florida - The Sunshine Skyway Bridge, the four-mile long commuters' connection between St. Petersburg and Manatee County, is also a magnet for the troubled wanting to end their lives. A Bradenton widow, whose husband took his life on the bridge, now finds hope in a prevention idea across the country as officials approve a net for the Golden Gate Bridge in San Francisco. Debbie Korell says her husband, Todd, didn't say goodbye. "Today would have been his his 47th birthday," she said. "People handle stress differently and he just short-circuited. One night he got up in the middle of the night and drove the car to the top of the Sunshine Skyway Bridge and he jumped right near 12:30 because that's the time that was on his watch when he died." 10 News is reporting on a suicide in this case because it occurred in a public place. Find out more about the station's crime guidelines, by clicking here. She says her husband was troubled over recent deaths in their family as well as a major move from Chicago to Bradenton. The information technology professional had to search for not only a new job but new friends. Debbie says she is encouraged over what is happening in San Francisco where the Golden Gate Bridge Board of Directors approved $76 million for a stainless steel net that will stretch about 20 feet wide on each side of the bridge's one-and-a-half-mile span. Since the bridge opened in 1937, nearly 1,600 people have plunged to their deaths but the net is a move to try to prevent deaths. "I think that's a fabulous idea," said Debbie Korell. "After Todd died I tried contacting people to ask about putting up some sort of net on the Sunshine Skyway Bridge and all I got was we can't do it because it might kill the birds or ruin the aesthetic view." The Florida Department of Transportation oversees the Skyway and while there's no plan in the works for a net, Kris Carson, a spokeswoman for the agency, says they have long since tried to prevent suicides. She points to the 24-hour video monitoring of the bridge and other roads in the Bay area at their Traffic Management Center. Carson says in addition to that, "We actually pay the Florida Highway Patrol to get up there to patrol the bridge frequently so we can prevent suicides." She also says there are several solar-powered phones on the bridge that ring directly to a crisis hotline. If you or someone you know is having suicidal thoughts, call the Crisis Center of Tampa Bay at (813) 964-1964, or 2-1-1 to connect with Tampa Bay Cares. article includes video. 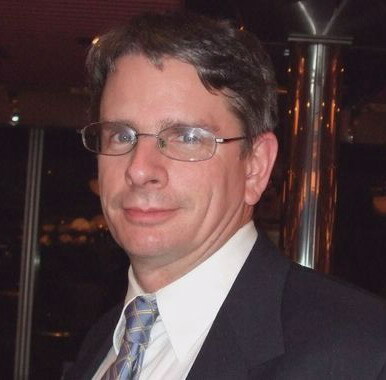 03.17.10, anon, Chicago, Il., I am a former coworker of Todd Alan Korell. 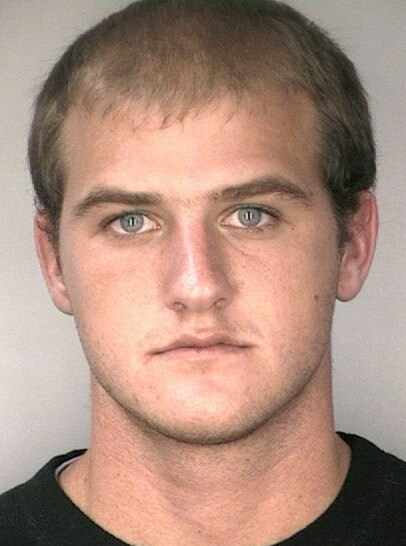 He had recently moved to Bradenton from the Chicago area. He was 43 years old and you can find an obituary for him at Manasota Memorial Park and Funeral Home. 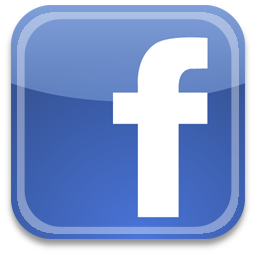 06.03.10, Deborah Korell, facebook, my husband knew my mother died in front of me in the house we were living in. i think he didn't want me to find him in the house. thats why he left the house. 12.15.12, Deborah Korell, facebook, Every time i see your photo of the bridge (or the ones on the news), i can't help but imagine Todd (March 2010) jumping off of it. even 2 2/3 years later, and much grief work completed, the sight of that bridge is still upsetting. so to those who have had family and friends who have committed this terrilbe deed, i wish you some peace of heart during this holiday season. •Sadie S., I went back home last year...to the town I last saw my baby brother alive..and I walked in his honor, it has been 27 years. I cried and I laughed, but I still remember how he lived, not how he chose to die. It will be hard, but you will not walk alone, he is forever in your heart. 10.06.13, Debbie Korell, in a discussion on facebook, Todd broke his leg and hip. His spleen ruptured and his liver and kidneys were severely lacerated. He broke ribs which punctured his lungs. He did not drown. later: I would never call Todd a coward...except that he did not have the courage to say I am in such huge emotional pain that I think the only thing to fix it will be to take my own life Todd had a fear of heights. Did not even like to climb on a ladder. But a coward.. never. Poor coping skills.... I guess so. He imploded. 03.13.15, Debbie Korell, facebook, Five years ago today I lost the love of my life. I'd like to thank all of you for being with me and being there for me as I have learned that life really does go on. I love all of you and could not have done it without you. Thank you for being in my life. 06.27.15, Debbie Korell, When suicide loses its stigma, and the survivors stop being blamed and the death is treated and supported as other deaths and the illness is able to be treated without locking someone away from their lives, my work will be completed. 02.08.10, Suthern, Ellenton FL., (02.08.10, 8:00am), A car and an emergency truck parked at the top of the North bound span. Two emergency workers looking over the edge near the crisis phone. Two Fire trucks parked at the top of the South Bound span. 02.08.10, Sawit Today, St. Petersburg, FL., (02.08.10, 7:40am, female, no phones, hit water), Driving southbound on skyway, noticed brown car on the right side of northbound route. Nobody inside. As I was driving up, I thought I saw something falling, I'm guessing it was a jumper. 02.08.10, hcso.tampa.fl.us, Twenty-eight-year-old female jumps to her death off Skyway Bridge. Monday, February 8, 2010, Time: 2:04 PM, Amber Rose Syme, DOB 4-13-81, [address withheld], Gibsonton, FL., Hillsborough County Sheriff’s Office responded to the Sunshine Skyway Bridge in reference to an individual that had jumped off the bridge. Investigation revealed that the victim, Amber Syme parked her Kia on the center span, walked over to the rail and jumped, Her body was recovered by authorities from St. Petersburg and the body was then turned over to the Medical Examiners Office. 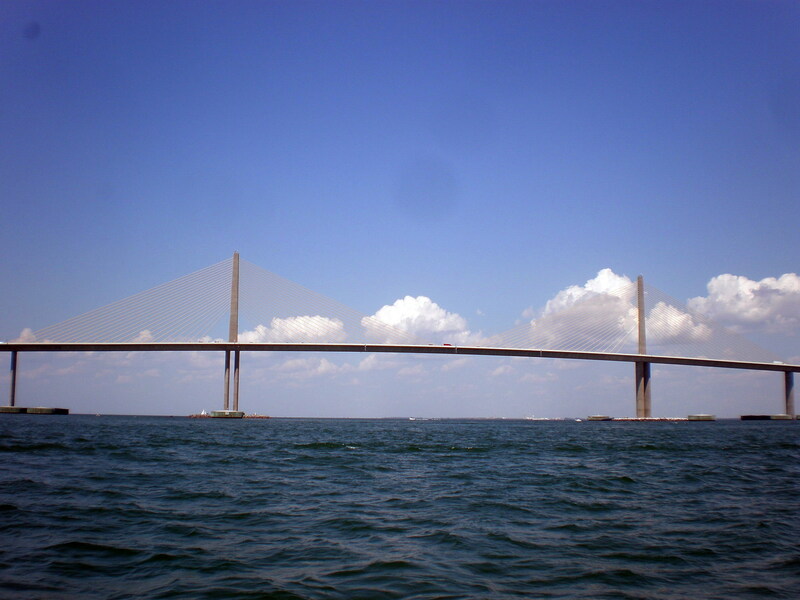 ST. PETERSBURG — A woman is dead after jumping from the Sunshine Skyway bridge Monday morning, officials said. The woman, identified as Amber Rose Syme, 28, of [address withheld] in Gibsonton, jumped at 7:54 a.m., fire officials said. Her body was recovered shortly afterward. Officials found her in the water by using binoculars. 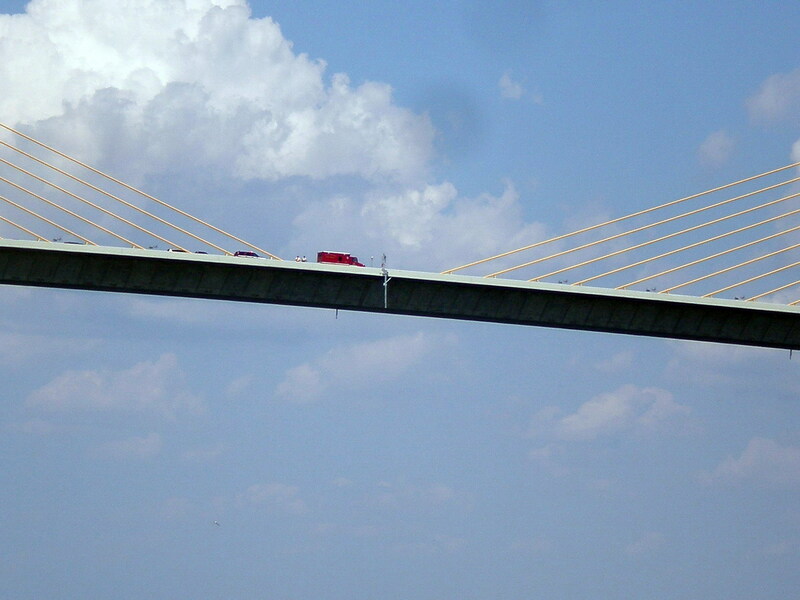 Fire officials said it was the first confirmed Sunshine Skyway suicide of the year. 02.08.10, 1948BradentonBolter, I don't think she is a coward. She made a decision that we should all be allowed to make. Tragic... yes, affects many other people... yes, and maybe very inconsiderate to family and friends. But she was desparate for peace and knew no other means to get it. Whatever was bothering her brought her much pain. People who do that normally have thought about it for some time. Those who go up there and don't end up jumping are in pain but are crying for help. She obviously was done with it all. 02.08.10, chestpc, I saw this woman pulled over at the bottom of the skyway bridge this morning around 7:45am. Probably contemplating the final drive to the top. I feel so bad for her and her family. This is just a horrible thing. 02.08.10, RaeMay581, Amber was a lifelong friend of mine. We grew up together. I had the pleasure of spending a week with her in May. I will treasure the time I got to spend with her. She was very sad and we were all trying to help her. I wish there was more we could have done. She had talked about moving up here to VA with me. I am just not sure if that could have changed things. Please think of her friends and family when giving your opinions. May she rest in peace. 02.08.10, 1948BradentonBolter, At 7:54 I was crossing the top of the bridge to see her take her life. It was disturbing and I feel sorry for her pain which brought her to this point and for her family and friends who will miss her. 02.08.10, Rachel K., facebook, You were such a beautiful girl, inside and out. I only wish you saw what we saw. I love and miss you...now and forever. 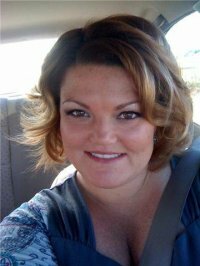 02.12.10, anon, Michigan, justmommies.com, tonight i am really having a hard time dealing with Amber's death. I have definitely gone through the five stages of grief and didn't even realize it until now. It took me a couple days for her death to really sink in - denial. Anger. I was angry that she didn't give anyone a chance to help her. That she would think her life was so bad that she could just leave it with no regard for those she was leaving behind. Angry that I didn't see she needed help. As for bargaining - there was no "i'll do this if you do that" type stuff - but I did dwell on the fact that if she had only reached out she'd have realized that I was going through the same thing she was. I also reversed that and blamed myself, thinking I should have reached out and made an effort - but how was I to know? she's in florida. i'm in michigan. tonight i'm in depression. i am so many pictures and memories floating through my head right now. i hurt for her family and friends. i hurt for my family. i hurt for her. i hurt for myself. i miss her. i feel so sad that we'll never get together again and go horse back riding or never stand in silence and enjoy the beauty of winter. i feel sad that she'll never find her one true love, get married, and have babies. i guess that i have acceptance to look forward to. grieving blows. 01.17.10, Tra, Dunedin, (01.17.10, 11:25pm, no phones), Pinellas 911 Scanner at 11:25 (Bridge Alert) caller advised person got out of their truck and walked away from their vehicle at top of bridge. 01.13.10, Joe P., Ellenton, Fl., (01.12.10,9:00pm), Driving over the Skyway last night, newer black Mercedes with flashers on. No one inside.